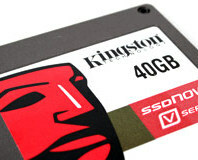 Kingston has expanded its V-Series of SSDs with the launch of a new 40GB budget concious drive. Built around the same drive controller and NAND memory as Intel's new X25-X line of SSDs, could this drive convince you to take the SSD plunge? 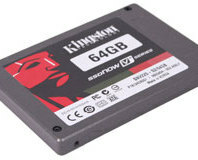 Kingston is a big name when it comes to memory, but not as well known when it comes SSDs. Boasting a Samsung drive controller, could Kingston's latest offering, the SSD NOW V+ 64GB change that? We fire up the benchmark rig and find out.